← Am I a wedges girl? 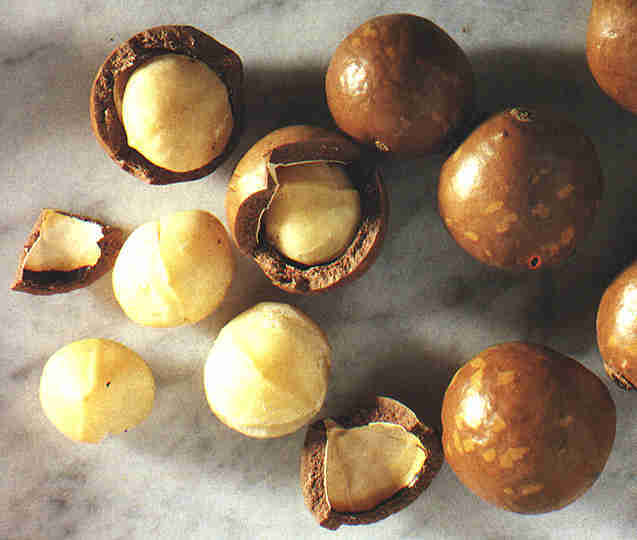 Having had to change my eating habits and incorporate more nuts into my diet, I’ve discovered that I love macadamia nuts! I never knew! I always thought they had a kind of powdery mouth feel and that they were a bit bland. I would eat the white chocolate and macadamia nut cookies at Subway to get the white chocolate and if there was chocolate up for grabs with the mac in them, I’d eat it anyway because passing up chocolate is a sin. Naturally. My taste buds must have matured or something because this little nut is delicious! It’s subtly sweet and creamy and oh soooo gooood. I don’t know if it’ll become my new favourite nut, because I think the pistachio reigns king of that ranking. But it’s definitely a close second. I used to love peanuts – I still do, but they are not a nut…sadly…and for paleolithic peeps, they are banned. Probably for the best, it made way for the mighty mac which I will be seeking out a lot more! This entry was posted in every day life and tagged dessert, food, healthy eating, macadamia nut cookies, macadamia nuts, nuts, paleo diet, paleolithic, peanuts, taste buds. Bookmark the permalink.